If you fancy getting away from the level trails and the bustle of the Peak District’s valleys then head your mountain bike for the Longstone Edge area north of Bakewell, where a small network of undulating upland bridleways and minor roads make for a great day’s exploration on two wheels. The views from the tops are fantastic and some of the slopes, in particular, are rich in wild flowers. Away from the tarmac lanes the tracks are mostly good (this is free-draining limestone, after all), and although there are some steeper and rougher sections there’s also plenty of smooth and attractive rides. 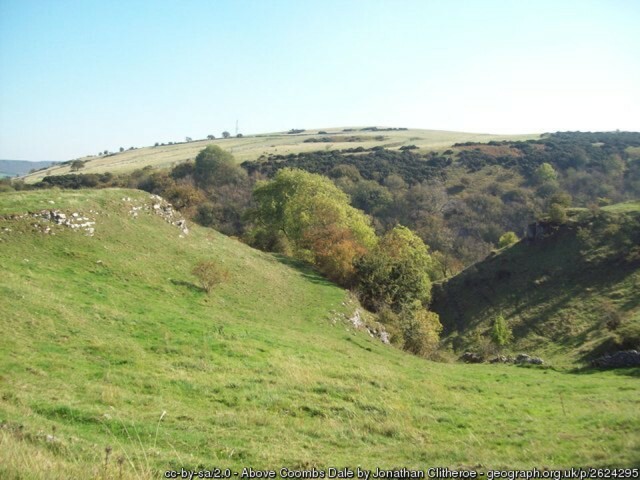 At the centre of the route network is Black Harry Gate, named after an 18th century highwayman who once roamed these parts (and rather inevitably ended up swinging on the gibbet at nearby Wardlow Mires). From this central point various tracks, lanes and bridleways radiate out – ten in all, covering around 20km. They’ve been developed as part of the Black Harry Trails project, which has seen the National Park Authority spend around £20,000 improving routes for cyclists and horse riders. 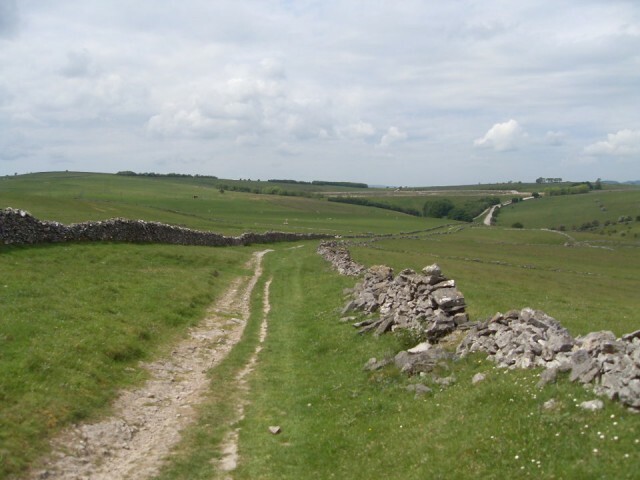 New concession bridleways have allowed cyclists to legitimately explore more of this rugged limestone area, typified by narrow wooded dales and high rolling pasture. One of the project’s actions was to address the problem of illegal use by trail bikes and 4x4s, which sadly does sometimes still take place; and it’s worth familiarising yourself with the leaflet map (Black Harry Trail Map pdf) which shows that off road vehicles can legally use several small sections of the routes (mostly unclassified roads). 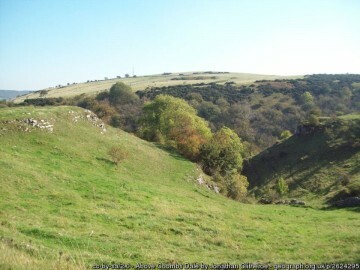 There’s also some quarrying that still takes place further east along the ridge, since Longstone Edge was once the site of a costly and protracted battle to stop unlawful extraction (it’s above board these days). Regardless, the limestone upland of Longstone Edge is a big enough landscape to absorb all users and well worth exploring by bike. 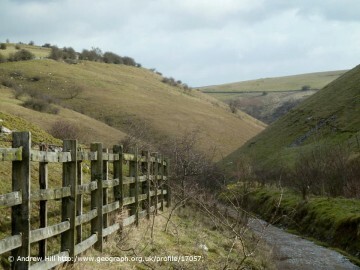 Near Stoney Middleton, at the start of the ride in along Coombs Dale. My favourite approach is from Stoney Middleton along Coombs Dale, a long and ever-narrowing valley that steepens and roughens at the far end. The best views are probably from Taylor Lane, high on the tops, east to the Derwent Valley and the far Sheffield moors; and from Longstone Edge itself south towards Bakewell – one of the most breath-taking vistas in the whole of the White Peak. From this point a quiet lane drops down to Great Longstone, which is a fantastic freewheel almost all the way! Although there are two decent pubs in Great Longstone, if you turn right to reach Little Longstone you can sup at the Packhorse Inn. Here you’ll find the locally-produced Thornbridge beers, and if you’re very lucky they may even have their specially-brewed Black Harry (3.9%ABV) available. “It has a fruity aroma with notes reminiscent of raspberry, a light creamy body and a long nutty finish,” according to the brewery. And, believe me, if you’ve just spent a day cycling the Black Harry Trails this smooth, dark ale slips down a treat. Cheers!